It’s that time of year again! The holiday season is the perfect time to explore new activities that can be done as a family. 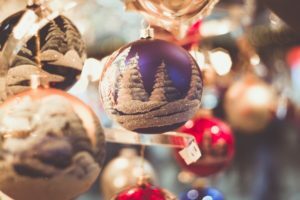 Whether your family decorates a tree, lights a menorah, or simply cherishes time with loved ones, there are many festive activities to be celebrated at the end of each year. Instead of becoming overwhelmed with all the shopping and cooking, try to utilize the holidays for spending time with loved ones doing activities that apply to your family! Sing Christmas carols throughout the neighborhood or at a local retirement home- Nothing spreads warmth and cheer like Holiday music! Go visit Santa at a local mall for pictures- Santa can be found at most malls during the Holiday season, so if your kids want to tell Santa what they want for Christmas and take a picture to remember- go visit your local mall! 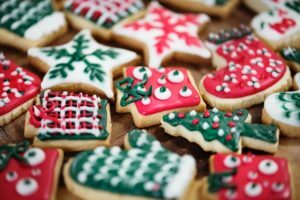 Keeping a calendar of holiday events you that would like to attend is a good way to keep track of activities during this busy season. No matter what you and your family celebrate, there are endless activities to get every family through the bustling holiday season!